1. Continuous operation of the paper machine, we must ensure the stability of the white water system, especially a white water cycle stability. 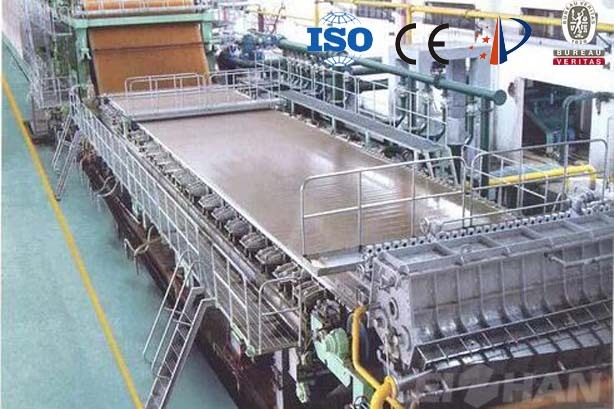 First-order circulation of white water flow, solids content, small fiber content, white water temperature and other factors, even small changes, will interfere with the production process, affecting the finished paper quality (especially the quality of finished paper fluctuations), and even Paper machine broken paper. To this end, we must always maintain the stability of a cycle. 2. The stability of white water recovery unit operation is an important factor that affects the stability of white water system. For multi-disc recycling machine, the white water concentration, the amount of long-fiber mat pulp, multi-plate speed, the degree of vacuum formed by the water leg and other factors will affect the stability of white water recovery. 3. Must ensure that the amount of white water back to the amount of fluctuations can bring changes in the concentration of the same time on the wire slurry temperature has a great impact on changes. In the actual operation, the Inwire system needs to use more white water and minimize the use of fresh water at a lower temperature, which is beneficial to the increase of the temperature of the slurry on the wire and thus to the dehydration of the forming department. 4. When changing products, especially when producing products of different whiteness or different colors (thick paper and non-dark paper), the usage of white water directly affects the process of variety change. In general, the variety of replacement from high whiteness to low whiteness, or from the color to not concentrated color, should minimize the use of white water, add more fresh water. If necessary, remove part of the white water to the system for water treatment, and recycle the slurry before use as much as possible for the recovered slurry. 5. Paper machine white water, because contains a variety of organic raw materials, is the ideal place for bacterial growth. In the production process, we must do a good job whitewater system of antiseptic sterilization, while doing a good job cleaning the system.